After the powerful commitment of EU member states to start for deep integration in the area of defence, the autumn summit in Brussels on 19-20 October ended in anticipation and calls on all member states, who wish, to "swiftly" notify the Council that they intend to take part in the Permanent Structured Cooperation (PESCO). The leaders welcomed progress achieved in the preparation for the joint notification, but at this stage it is unclear how many countries will join. 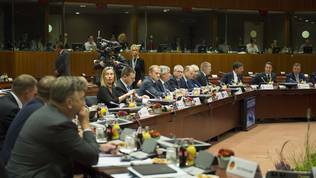 It is expected the joint notification to be filed on 13 November during the joint meeting of the EU ministers of foreign affairs and of defence. After the Council is notified it will adopt a decision to establish PESCO with a qualified majority. The ambition is this to happen before year-end. The leaders state in their conclusions from October 19 that they hope this will unlock the first projects. 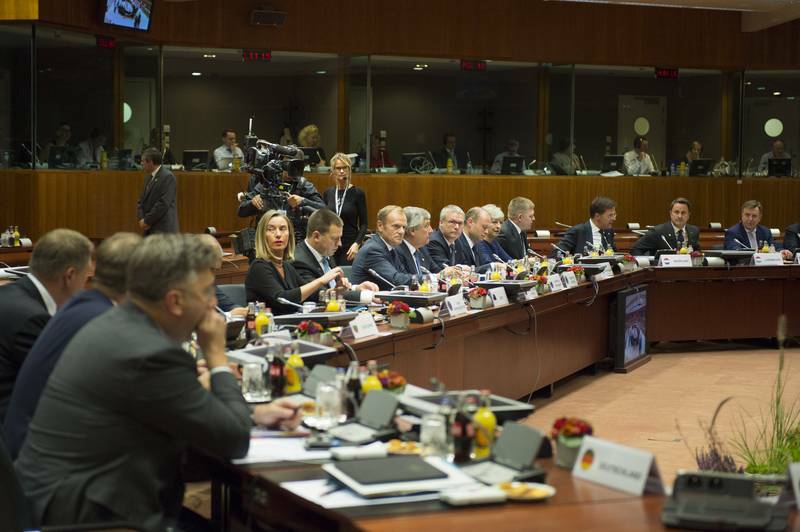 The autumn European Council invited the member states to develop mechanisms for flexible and sound financing of the European Defence Fund which will ensure the opening of joint public tenders in the area of defence. They also underlined the need PESCO, the European Defence Fund and the defence capabilities review (CARD) to be mutually strengthening because this will deepen defence cooperation among the member states. Leaders will get back to this topic in December when they will make a comprehensive review of what has been achieved in the area of common external security and defence. 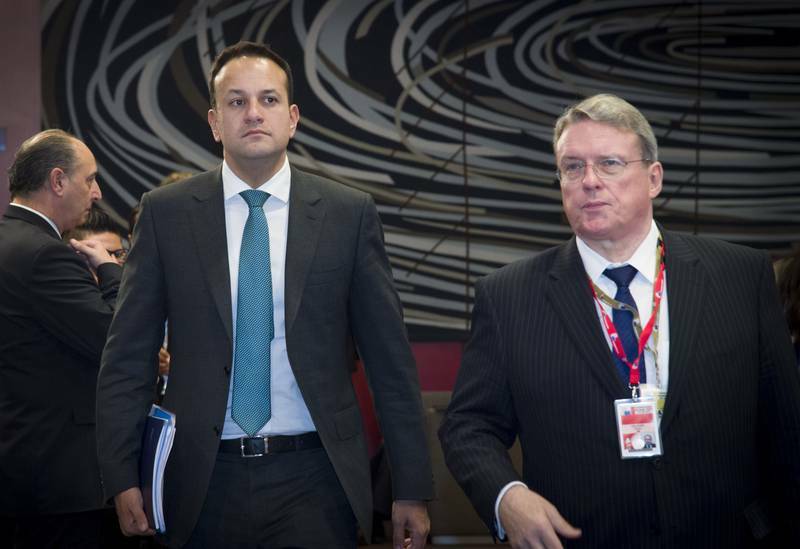 Although the issue did not dominate the October summit, Ireland Prime Minister Leo Varadkar said there was a lot of enthusiasm for the establishment of PESCO which could suggest that there will be no problem its establishment to be supported by a qualified majority - in support to vote 55% of the member states representing 65% of the EU population. 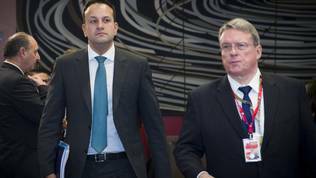 Ireland itself will not participate for the time being because it insists on its military neutrality, but Leo Varadkar looked enthused. "We want to be part of it but we can't do anything that compromises our military neutrality". He added he will wait to see what exactly will PESCO look like and then Ireland will decide whether to join. German Chancellor Angela Merkel mentioned the issue vaguely saying that progress had been achieved in the coordination of European defence policy. She also said her government had already notified the parliament of its intention to participate in PESCO. Although this is a major priority for the French president he did not mention it at all. The issue was not a major one also during the debate in the European Parliament on the outcome of the autumn summit. The only MEP who talked about it was Victor Boştinaru (S&D, Romania). He said it was high time the member states to make the final step and notify about their preparedness to participate. "We are well aware that some Member States are more ready and more capable of joining PESCO from the outset, but that must not prevent the others from joining as soon as they are ready, on the basis of the same predetermined criteria, applying to all forms of enhanced cooperation", he said. According to data by the Bruegel think tank, the EU defence industry is not among the biggest production sectors of the Union. Its turnover in 2015 was 100 billion euros. The directly employed in it are 500 000 people and indirectly 1,2 million jobs were generated in 2014. Not only that the industry's share is small but production is also spread unevenly - several big players and around 1 350 small and medium-sized enterprises spread throughout several states - Austria, the Czech Republic, France, Germany, Italy, Poland, Spain, Sweden and the UK. The biggest companies are 31 with an annual turnover of between 0.5 and 23 billion euros. UK, France and Italy dominate the European market in terms of the number of active companies and arms sales. The biggest in the sector is BAE Systems from the UK, which has annual sales of 23 billion euros and has 82 500 employees. France has two big companies - Thales with 7 billion euros of sales and 62 000 workers, and Safran with 4.5 billion euros sales and 70 000 workers. In Italy, the biggest company is Finmeccanica with 8 billion euros sales and 47 000 workers. Not all of them produce arms, Bruegel recalls. The think tank warns that a possible increase of military spending in the member states might not lead to more even distribution. The possibility a common European defence to benefit individual member states, who are big players in this industry, was one of the greatest concerns and reserves, especially of the smaller member states with underdeveloped defence industries. Such fears expressed the Bulgarian Prime Minister Boyko Borissov back in June, but he repeated his concerns at the October summit as well, although he stated Bulgaria will take part in PESCO.